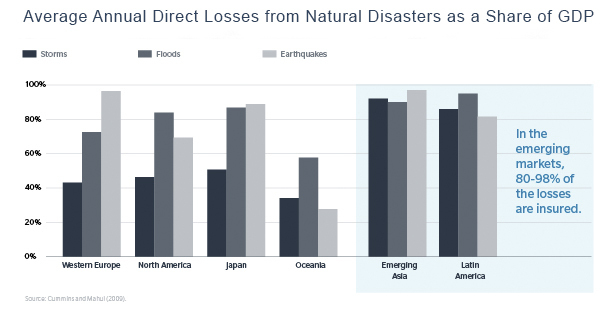 Globally, three of the ten most costly natural disaster events in the last 35 years occurred in total or in part in the Latin America/Caribbean (LAC) region; losses from Hurricane Matthew in the Caribbean are still being assessed. Today, 80 percent of the LAC population lives in urban areas, second only to North America (82 percent) and well above the global average of 54 percent. The region’s 198 large cities (>200,000 residents) contribute over 60 percent of gross domestic product (GDP), and its 10 largest cities produce 50 percent of that total. As the region’s population, swelling middle class, urbanization and GDP concentration continue to grow, the effects of climate volatility will likely increase the impact of natural perils losses on these economies. Damage from these losses as a proportion of GDP tends to be much higher than in developed economies (see tables 1 and 2). If the LAC region is to build on the economic and social gains of recent years, its governments must align with the private sector through public–private partnerships to improve risk management and disaster preparedness strategies. The ultimate cost of catastrophe-event responses puts particular strain on the public balance sheets of emerging markets, increasing public debt and ultimately burdening taxpayers. Adding to the problem is the lack of insurance coverage in developing countries. Average property insurance penetration in developing countries was only 0.21 percent in 2014, compared to 0.77 percent in industrialized countries. Another estimate indicates only 3 percent of potential loss is currently insured in developing countries versus 45 percent in developed countries. Mature economies can also often fall back on fiscal safety nets to cover insurance shortfalls. The $83 billion budget appropriation approved by the U.S. Congress after Hurricane Katrina hardly registered on the U.S. budget, but most developing economies cannot afford such amounts. For example, a year after Hurricane Ivan hit Grenada in 2004, the country defaulted on its foreign debt. The Maule, Chile earthquake of 2010 burdened the country with $32 million in economic losses, or 15.1 percent of GDP. Despite the high level of insurance coverage in Chile—even by developed world standards—75 percent of the costs were ultimately assumed by the government, leaving significant opportunity for the private sector to reduce the state’s financial burden. Given the overall impact of catastrophes on public-sector finances, governments in Latin America are transitioning from an over-reliance on post-event disaster financing to a pre-event approach to disaster risk mitigation. Societies are realizing that transferring risk to the private sector provides efficient and cost-effective solutions that relieve already strained public-sector budgets. The insurance industry also empowers the mechanisms and innovation needed to “build back better.” This concept relies on three key ideas—risk reduction, community recovery and implementation—to increase community resiliency. By improving building codes and land-use planning, cities can reduce the future vulnerability of their physical infrastructure. At the same time, social and economic recovery is supported through market-based incentives and subsidies to finance aid and reconstruction efforts. Finally, stakeholder education, legislation, regulation, community consultation and monitoring and evaluation must all be used to ensure compliance with appropriate and culturally sensitive standards and targets. “Building back better” institutionalizes disaster assessment and recovery frameworks at the national, municipal and community levels as well as in the private sector, academia and civil organizations, improving coordination and risk governance. Sharing regional and global best practices and establishing international aid standards further supports sustainable recovery and reconstruction. The Mexican federal government’s risk management strategy exemplifies a modern, resilient disaster preparedness plan, including pre- and post-event approaches and public–private partnerships. 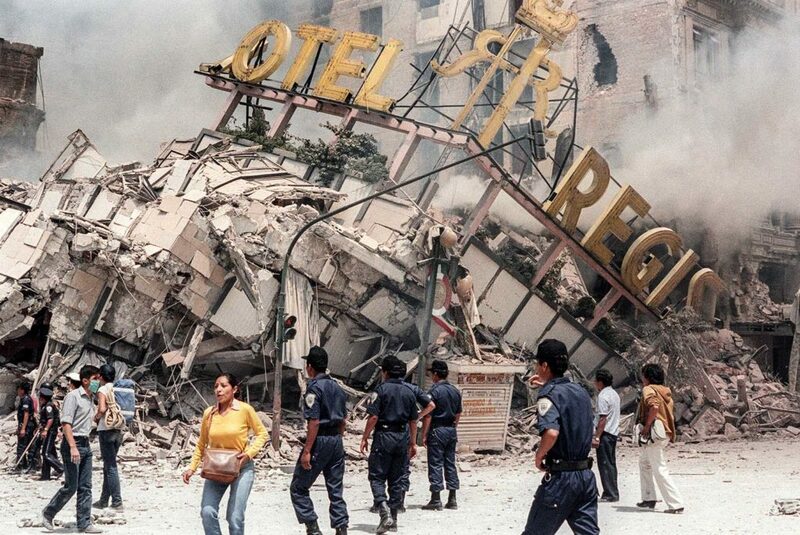 Following the 1985 Mexico City earthquake, the Mexican National Civil Protection System (SINAPROC) was created, establishing a multi-level system to integrate stakeholders from the three levels of government, the private and social sectors, academia and scientific organizations. Its purpose was to provide an institutional framework for the improved coordination of emergency response. Its capacities in the areas of risk assessment, early warning, preparedness and disaster risk financing were developed. As SINAPROC evolved, it added risk reduction practices to shift from a reactive to a preventative, holistic and integrated risk management plan. Recognizing that risk comes from multiple factors—politics, land-use planning, cultural norms, and more—SINAPROC mainstreamed the plan throughout government, private and social sectors. Through the Secretariat of the Interior, it coordinates civil protection with other key policies, such as urban development, housing, climate change and education, by clearly identifying responsibilities. SINAPROC works with the Secretariat of National Defense and the Secretariat of the Navy to implement emergency preparedness, communication and relief and recovery plans in addition to creating institutions to set policies and budgets, develop best practices, coordinate government, promote social and private-sector agreements and research scientific and technological improvements in risk management. It also aligns with the Ministry of Foreign Affairs to oversee international compliance and assistance and establishes provisions for government accountability. SINAPROC also created the General Risk Management Directorate to oversee financial risk management instruments in conjunction with private-sector stakeholders. One such instrument was developed in 1996 to respond to a continued need for post-event budget allocations. The Fund for Natural Disasters (FONDEN) is a transparent financial vehicle by which the federal government provides pre-event funding from tax revenues for post-disaster response and reconstruction. Its resources are allocated by law, and distributions are made by the state-owned development bank from sub-accounts dedicated to specific reconstruction programs. Through FONDEN, the Mexican government established relationships with international capital and reinsurance markets that have proven critical in accessing risk transfer schemes. In 2006 it purchased Mexico’s first catastrophe bond, Cat Mex. In 2009, it replaced Cat Mex with the MultiCat Mexico bond, expanding earthquake coverage and adding hurricane coverage. The bond was renewed again in 2012 before making a $50 million payment to the Mexican government for losses from 2015’s Hurricane Patricia. SINAPROC further mitigated the storm’s impact by using its early warning system to evacuate most of the affected population, resulting in only a handful of casualties despite the fact that Patricia was the second-most intense tropical cyclone on record. In 2011, FONDEN also placed a traditional insurance program covering 100 percent of the federal government’s assets. To incentivize prevention, it covers up to 50 percent of provincial assets if municipalities implement formal risk transfer strategies. The program renewed in 2012 with over 40 international reinsurers and demonstrated considerable buying power by convincing the market to accept its own damage assessment and adjustment procedures. Mexico’s risk management strategy has earned a strong reputation in the international community. The World Bank said it is “at the vanguard of initiatives aimed at the development of an integrated disaster risk management framework, including the effective use of risk financing and insurance mechanisms to manage the fiscal risk derived from disasters,” highlighting it as an example for other governments to follow. Another market leader in public–private partnerships, CCRIF SPC(formerly the Caribbean Catastrophe Risk Insurance Facility) is the world’s first multi-country-risk-pool-utilizing parametric insurance backed by both traditional insurers and capital markets. Created in 2007 with the support of the World Bank, the government of Japan, and other donors, CCRIF provides protection against earthquakes, hurricanes, and excessive rainfall to 17 Caribbean and Central American countries. Leveraging its diverse portfolio, the facility provides affordable reinsurance for members through catastrophe swaps with the reinsurance market. 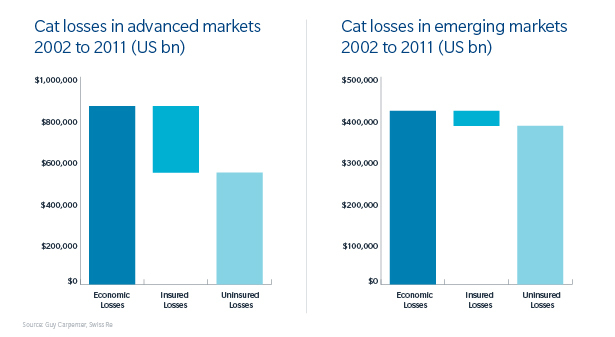 In 2014 it accessed catastrophe bond markets for the first time with a three-year, USD 30 million bond covering hurricanes and earthquakes, providing CCRIF multi-year access to reinsurance at a fixed price. The risk pool mitigates cash flow problems faced by its members after major natural disasters by providing rapid, transparent payouts to assist with initial disaster responses. It has made 22 payouts to 10 members for a total of $69 million, all within 14 days. CCRIF was the first to pay claims associated with the 2010 Haiti earthquake and has paid out more than $29 million in response to 2016’s Hurricane Matthew. Not to be outdone, the private sector has demonstrated its commitment to bringing insurance solutions to emerging economies through the industry consortium and venture incubator Blue Marble Microinsurance. Blue Marble’s founding consortium has committed to launching 10 microinsurance ventures in the next 10 years to deliver risk management solutions to the underserved. Through collaboration with strategic partners, including government and quasi-government entities and innovative technology-enabled platforms, Blue Marble seeks to improve sustainability by expanding the role of insurance in society. These ventures will consider unique distribution methods, local partnerships, product development and impact services. Blue Marble is currently working to close the protection gap in the risk that climate change poses to smallholder farmers in Latin America with the intention to launch pilots in 2017. Blue Marble understands the value of public sector–private sector partnerships in achieving its mission; it is coordinating its initiatives to bolster agricultural production and the management of associated risks with local government officials, including Ministers of Agriculture. 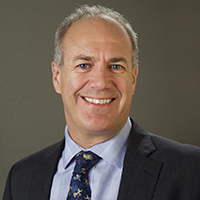 Aidan Pope is the CEO for Latin America and the Caribbean at Guy Carpenter. He has more than 30 years of experience in the LAC treaty reinsurance business. Prior to joining the firm, he established offices in Mexico and Brazil for his previous employer. By caribbeanclimate in News on March 3, 2017 .